Riders Junior By Lee Spray-On Biker Pants. 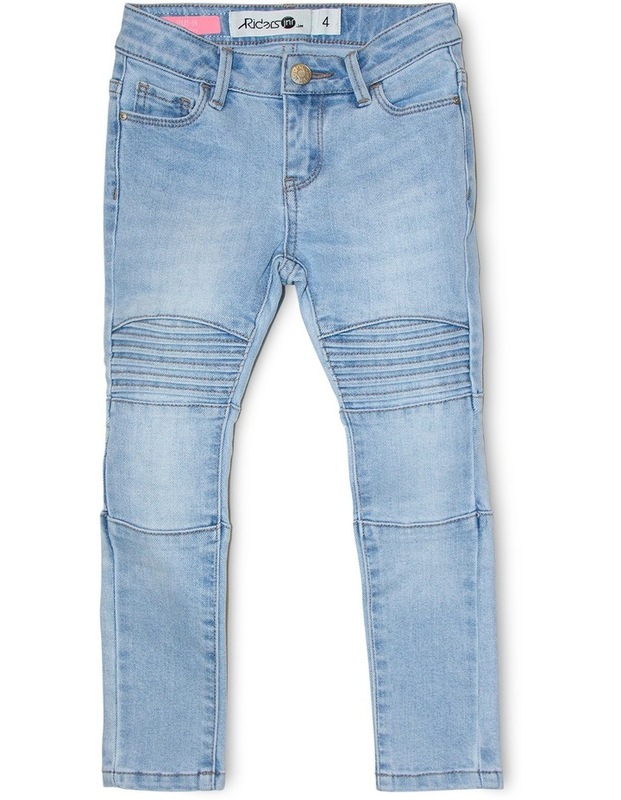 A skinny mid-rise stretch jean with bike detailing. Our Spray-On Biker jean is skinny through the leg finishing with a slim fit on the ankle in a fresh bleached out denim wash.